Keeping you on the road with peace of mind. Established for more than 20 years. We offer total care for all makes and models, from tyre fitting to Diesel fuel injection faults. We have the capability to repair it. Get in touch with us today for a quotation. Though specialists in diesel fuel systems, we can carry out general servicing, MOT'S and tyre fitting. We are capable of diagnosing all engine management faults – we are equipped with dealer level equipment to ensure the diagnosis is correct the first time. Having exhaust issues? Is this light or something similar currently illuminated on your dashboard? 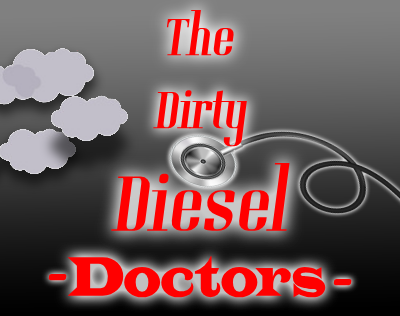 Then you are suffering from Diesel particulate Filter fault codes. We now stock and fit a wide range of tyres, we also carry out tracking checks to limit excessive tyre wear, we ensure all our wheels are balanced and corrected when fitted to your vehicle. We stock service parts for a wide range of vehicles and have quick access to the parts we need. Meaning we can keep costs down and turnaround times quicker when it comes to general vehicle servicing. M&C Diesel Services Ltd was established in 1997 and we have over 30 years of combined experience. We provide specialist diesel engine services in Colchester, with our particular specialty being the repair of diesel fuel injection equipment. We can repair most diesel engines from vintage tractors to modern day common rail systems. We also offer repairs to petrol vehicles and general servicing across both fuel types. Our workshop is well equipped and allows us to carry out a variety of work on your diesel engine including fault diagnostics. We pride ourselves on our customer satisfaction, the quality of our work and doing the right job at the right price. Call us us today to speak with a member of our expert team.